Located in Phoenix, Arizona, Search Explosion is a digital marketing agency that specializes in outstanding search engine optimization solutions. The team of SEO experts at Search Explosion craft the best strategies for search engine optimization that help their clients websites reach first page rankings on search engines. The team uses data-driven research to create customized plans that are tailored to meet the unique needs of each client. The team provides excellent customer service to each client by taking a personal approach to understand each clients expectations, challenges, and goals. In addition, the team also ensures that every client is kept informed throughout the development of each project for optimal results. Another factor that contributes to the success of the firm is that the team uses the most innovative practices and tools in the digital marketing industry. 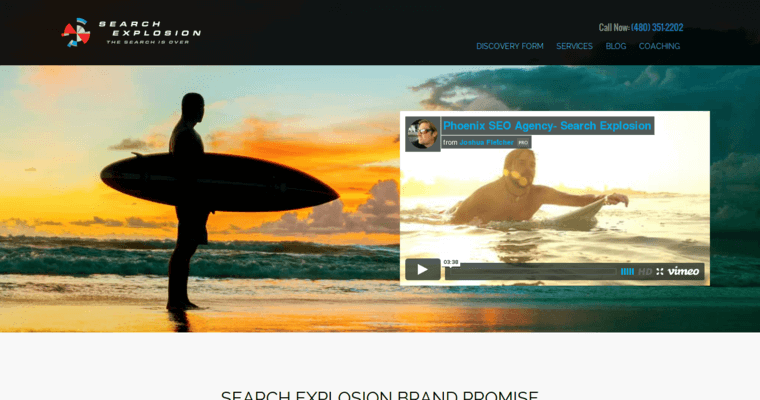 Businesses have many firms to choose from when it comes to SEO, but the professionals at Search Explosion have extensive expertise in their field that help their clients flourish.